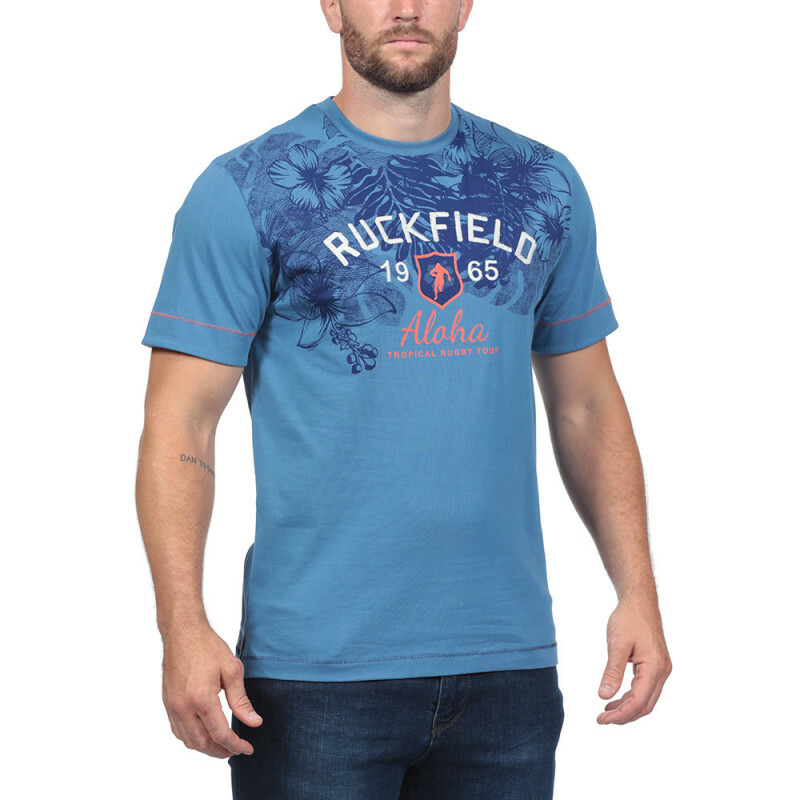 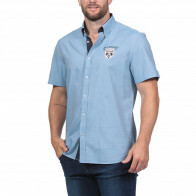 Opt for this very nice blue T-shirt with a round collar from the theme Island. 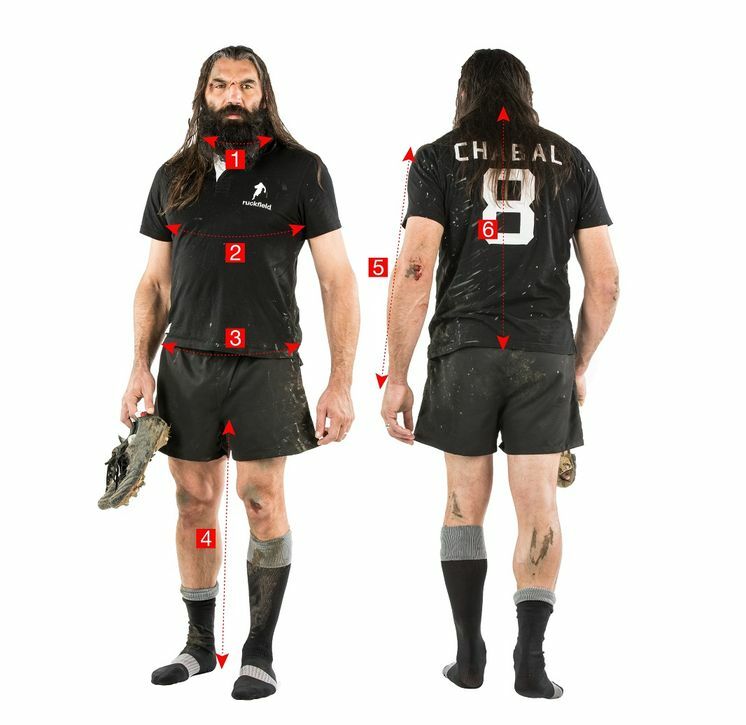 100% cotton, you will love the prints, floral patterns and Sebastien Chabal's patch. 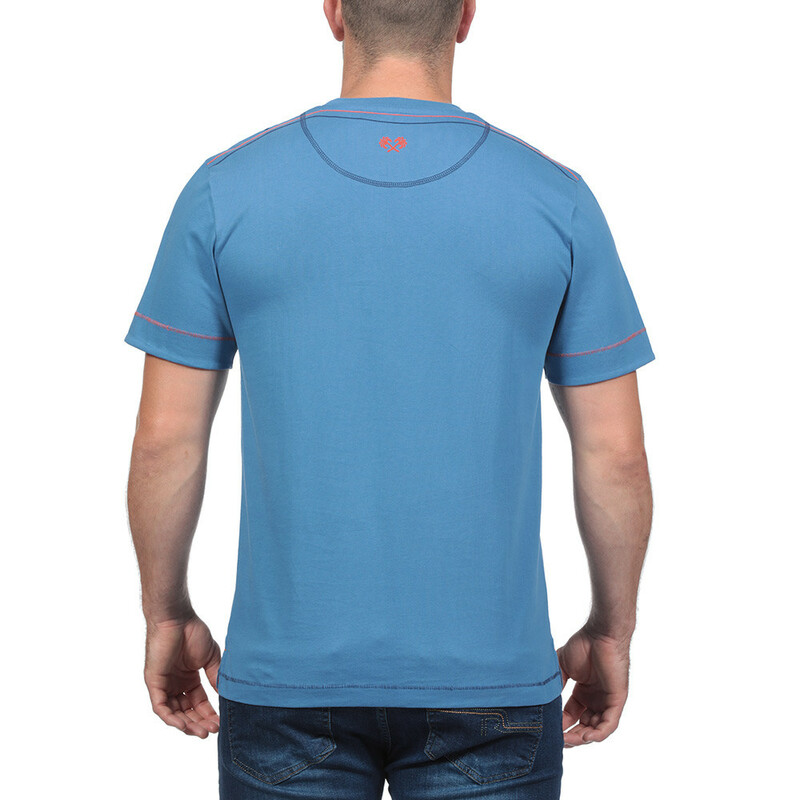 Playing with blue and orange tones, the topstitches on the sleeves and bottom of the garment sublimate this T-shirt.